Personal Responsibility Must Be Expected in Public Policy. DadsNow condemns all forms of domestic violence, but VAWA fails to acknowledge that every responsible study shows that women commit about 65% of child abuse, and at least equal violence against men. VAWA perpetrates the adolescent myth portraying all women as innocent victims, and men as the perpetrators. It falsely encourages the divorce culture where about 75% of divorces are filed by women. It fosters the bias of courts against fatherhood, where mothers are awarded effective sole custody in at about 90% of divorces and 95% of paternity situations, and responsible fathers are effectively excluded from the lives of their children. DadsNow recognizes the fact that domestic conflict is an issue requiring positive intervention in the majority of minor-conflict situations -- to intervene in and treat the mental health problems that drive conflict. Our public policy approach should hold both men and women responsible for their part in marital disagreements and spousal violence. In situations of minor marital conflict, public policy should positively to treat the underlying mental health problem (such as chemical or co-dependency), encourage marital responsibility for the benefit of children, and assure shared-parenting in divorce when parental conflict is not associated with serious parental mental health problems. VAWA is a totally ineffective approach to domestic violence because of the generational cycle in which abused children are at high risk to become abusers as adults. By failing to realistically address women's roles in child abuse, VAWA guarantees that the next generation will face the same problems as this one. Boys who are abused by their mothers are at high risk to carry anger into adulthood, and become abusers of women. Thus this approach is not only ineffective, it is actually a cause of the violence against women that every decent person should oppose. It is astonishing that we have funded our approaches to domestic violence in the genre of "First Wives Club" and "Thelma and Louise". The Bureau of Justice Statistics recently reported that 75% of spousal violence involved an offender who had been drinking. Another 11% involves drug use, leaving only 14% of serious spousal conflict unrelated to chemical abuse. In total, 86% of our domestic violence problem is a function of drug and alcohol abuse by both men and women. 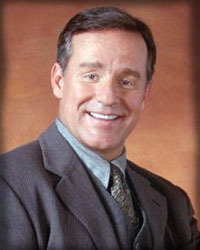 The death of comedian Phil Hartman [September 24, 1948 - May 29, 1998] reminds us that men, even rich and powerful men, have no place to turn to when dealing with a violent spouse. His only choices: divorce her and lose a fortune or "wait it out." We can never reduce domestic conflict or child abuse by listening to those who play the "gender card" to entitle sexist agenda. It is quite reasonable to suggest that we could cut our domestic violence statistics in half were we to simply empower the responsible spouse to put the other into treatment for drug use or alcohol, with a court record being generated if that spouse fails to respond to treatment. Proven treatment programs, such as Hazelden [the basis for the Betty Ford Center's treatment program], is how we should deal with the majority of our domestic violence problems. Let us intervene to improve mental health, not leave these problems to continue causing more expensive and dangerous future problems. We must address the upstream problems of chemical abuse and family, for it will prevent much downstream human misery and save federal and state agencies tremendous sums of money spent on the wide variety of downstream problems associated with non-intact family structures. If we truly wish to reduce domestic violence and all forms of child abuse, we must repeal VAWA and replace existing federal law with a gender-neutral Uniform Domestic Violence Act. Below you will see that that VAWA is not about violence. VAWA is predominantly about creating a tremendous welfare state, enacting socialized health care, entitling women's employment, guaranteeing unemployment benefits and free housing for women, raiding husbands' retirement savings, and getting immigrant status for illegal immigrants. Secondly, it is about entitling women's abuse centers to spend your federal dollars as they please, and to unfund any organization that might not agree with their approach. Last, it is about inculcating propaganda founded on misandry into our public schools and universities. VAWA is about encouraging, creating, and entitling single motherhood at the expense of families, businesses, state coffers, and the taxpayer. Abuse is the excuse, the 'imagery' powering a Trojan Horse, as will be proven below in our point-by-point hyperlinked legislative analysis. Recognizing the real agenda of VAWA is so simple. VAWA defines a "determination" of abuse as nothing more than the statement of the victim. All the funding provisions of VAWA come alive (and stay alive) simply on the basis of statements uttered by a purported victim. The sexual and physical 'fear' language used in VAWA is just the latest smokescreen for welfare state agenda. The language is nearly identical to the hysterical broadsides used by the Women's Ku Klux Klan 120 years ago that fueled the nationwide, fearful discrimination against blacks. A century later, the welfare state hopes to permanently entitle itself by blowing a nationwide smokescreen of fear about husbands, fathers and men. The same people who tried to sell us welfarism in the name of "National Health Care", who tried to wipe out immigration laws, who have told us that HUD housing would save America's poor, who tried to sell us "womb to tomb" and failed on all accounts, think Americans will not notice this same agenda if it is hidden in the sanctity of "domestic violence legislation." They are wrong. America's scholars are now speaking out, rejecting VAWA, and calling for its replacement with a truly gender-neutral Domestic Violence Act. author of "The Myth of Male Power" and former board member of New York NOW. In PDF or HTML format. 'Positive Partners, Strong Families': a constructive solution', by Dr. Felicity Goodyear-Smith, Author of "First, Do No Harm", and fellow researcher at the University of Auckland, New Zealand. In PDF format. 'Abuse Centers Don't Help Men', by Philip Cook, author of "Abused Men: the Hidden Side of Domestic Violence." In PDF format. "VAWA II Must Be Stopped", by Erin Pizzey, founder of the first domestic violence shelter ever opened. In PDF format. "Fighting False Claims of Domestic Abuse", by Ronald L. Isaacs J.D., (new book) In PDF or format. Physical Assaults By Wives: A Major Social Problem Dr. Murray A. Strauss, edited by Richard J. Gelles and Donileen R. Loseke. [1993, Current Controversies on Family Violence]. In PDF format [678k] - with emphasis added. UNH Researcher Explains Why Women Physically Attack Husbands at about the Same Rate as Men Attack Wives University of New Hampshire News, March2, 1998. In HTML format. Prone To Violence, By Erin Pizzey. Available in HTML format. Stuart Miller on Domestic Violence, in TEXT format, or WORDPERFECT 6.0 format. VAWA leaves many children in the care of women abusing drugs and alcohol (as cited above). According to the the recent report Child Maltreatment 1995: Reports From the States to the National Child Abuse and Neglect Data System, Table D5 issued by the U.S. Department of Health and Human Services, Administration for Children and Families, women were the perpetrators in 74,184 out of 119,767 total cases of child maltreatment (62%). Children are nearly twice as likely to suffer abuse by their mothers as by a man. We can best help these children by making it possible for responsible fathers to get help for the family when mothers get violent, rather than blaming it on the man, who is driven from his home under VAWA. Let us place government pressure on the side of children, rather than using it against them. It is anti-family to use federal funds to negatively intervene in situations of minor spousal conflict. Monies should be applied towards helping troubled spouses heal from commonplace preventable and treatable disorders (such as chemical dependency and co-dependency). Instead of helping American women get what they really wanted all along, VAWA drives divorce, serious downstream family conflict, and usually places children in the custody of the unhealthy parent. Children require the benefits shared-parenting in marriage or divorce wherever possible, yet our divorce statistics tell us that we are doing just the opposite on a nationwide scale: three out of four children will lose their father in divorce primarily because programs such as VAWA are funded to achieve this result. Women who care about women have a vested interest in stopping VAWA. VAWA's approach hurts many women. Instead of urging for programs that would help alcoholic women deal with their problems so that their families might survive intact, VAWA intentionally waits until the family situation is chronic, and then urges women to get a divorce. VAWA's approach results in an alcoholic woman living in poverty trying to raise kids all by herself with the customary assortment of work, daycare, and health care related problems we read about in the newspaper every day. The futures of women in trouble would significantly improve, were we to help them get well rather than sending them into dire social straits. Likewise, women confronted with the problem of an alcoholic spouse presently only have two choices: get a divorce and live in poverty, or 'live with it'. Most women would be far better off if they had a third choice: getting him into treatment! Let us fund the upstream solutions, not create more downstream problems for women! It is time for stop playing gender politics at the expense of women, children, men, and their families, and start dealing with the problems that lead to domestic conflict! We have prepared an educational handout, "The Truths of Domestic Conflict" [PDF format] containing the factual, unemotional, unsexist truths about spousal conflict. Please copy it and share the truth with the public and your legislators. Friends of the Women's Freedom Network are not afraid to stand up to NOW. Here is the truth about spousal conflict, presented by women who do not play power politics at the expense of other women. The absurdity of VAWA I is so obvious that public ridicule of VAWA II is surely imminent. Those who enjoy a solid musical broadside will enjoy "VAWAII" [44.1 khz stereo, MP3 format, 3.6 MB] or [8 khz streaming realaudio], a parody of Olivia Newton John's hit-single "Physical", written and recorded by Dave Usher. Dave hereby gives his permission for this fabulous pork-popper to be broadcast on all radio stations and for public performances for informational purposes so long as the recording is not sold, and so long as the ACFC website is given verbal on-air credits. (hard sale rights are reserved). Would any organization stand up and admit to condoning, permitting, or enabling domestic violence? Would any organization blind their eyes and ears to half of all serious acts of domestic abuse in America? Reading NOW's slick congressional testimony, one would never suspect that women were ever violent. You may see about NOW's direct involvement in the drafting and introduction of VAWA II and similar bills here. The vast majority of domestic violence resulting in injury to a spouse occurs after the date of separation [Chadwick & Heaton], yet VAWA's approach is to break up families and send them into the serious forms of violence that they supposedly wish to prevent! Family violence is unacceptable no matter who initiates it. Every major study on domestic violence reports that women are responsible for at least half of serious spousal altercations. Yet there is not one dime of funding, not one government program, or one educational campaign that impacts female-on-male violence. Abuse Centers and Crisis Hotlines Don't Help Men! 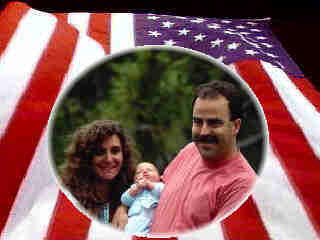 A responsible husband trying to get help for himself and his family has no options. Abuse centers and crisis service hotlines do not help men, and are quick to inform the caller of this fact. Many members of ACFC and other organizations have experienced disquieting fact. Here is a transcription of one such call. Philip Cook, Author of "Abused Men, the Hidden Side of Domestic Violence", has written a special article for ACFC about this serious policy problem. The purpose in pointing this out is not to turn men into yet another victim-group. It is to show that because we fail to put men on an equal footing with women in family matters, we hurt women and children as well. By adhering to VAWA's attitudes, we can never deal with the problems that drive spousal conflict. The recent situation at Independence House in Hiannis, MA immediately brings to mind the clearly unconstitutional aspects about how federal funds are being spent in reserving the entire domestic violence issue solely for disposition by certain women. Women's centers routinely and openly make gender an immediate factor not only in their support services plans, but in their general hiring and appointment practices, a clearly unconstitutional violation of U.S. Code. Even setting the obvious federal constitutional considerations aside, our hotlines and crisis services must be funded and operated to help all callers who are confronted with the problem of a drunk, violent spouse, if we, as a nation, wish to address the problem of domestic violence appropropriately and constructively in each case. Much of the money provided by VAWA is not used to prevent or intervene in cases of real domestic violence. According to Dr. Murray Straus, most marital disagreements are the kinds of minor and infrequent spousal disagreements that we are all familiar with. Much of VAWA funding is siphoned off to small business organizations (SBO's), and non-governmental organizations (NGO's) operating under 'politically correct' names who use VAWA funds for advertising and programs promoting the image of the 'evil' male, encouraging unnecessary divorce, denying children a loving father, and blaming women's problems on men. The exaggeration of domestic conflict data elevates these minor spousal disagreements to the status of serious 'clinical' abuse, with any conflict inuring to the funded benefit of the National Organization of Women. For example, Murray Straus, a leading researcher of domestic conflict, tells us that the injury-adjusted rate for the oft-advertised slogan "one woman is hurt every 15 seconds" (which is based on police report claims) is actually 90% less. These SBO's and NGO's create unipolar perspectives on domestic violence with a heavy emphasis on radical feminist politics intermixed, which is then fed into the court systems. For example, the primary domestic violence resource link on the website of the National Council of Juvenile and Family Court Judges is Safety Net, a radical feminist website (cybergrrl). Universities and "researchers" are involved too. Many of us are aware that college campuses are the seedbed of radical feminism. They take VAWA money, regurgitate monocular perspectives about women's problems, and feed it back into the political system and media. For example, the Violence Against Women Prevention Research Center (VAWPRC), a collaborative sponge operated by the Universities of Minnesota, Arizona, and Iowa; is is deeply involved too. VAWPRC's proposed plan is, by its own language, a funded "thunk" tank of radical activists and educators intended to generate feminist propaganda and get more money. So-called 'children's groups are deeply involved, and the media is blinded by the massive misinformation campaign. Supposedly "private" organizations, such as the Family Violence Prevention Fund, believe that we should only intervene "if the man hits the woman"; steering national and world policy while taking "donations" from sources that probably represent a recycling of our tax dollars for sexist purposes. The American Bar Association is a major perpetrator of prefiltered "statistics" about domestic violence, framed as a sexist entitlement of radical feminist attorneys, who make a killing at the expense of the American family, society, and businesses. What is worse is that lawyers in the federal government provides large amounts of funding to the ABA to "educate" lawyers and spread this myth in public, while the ABA seeds future profits by crafting perverse "model state code", all of which is parallel to VAWA II. Conflict of Interest: If we would not let tobacco companies tell us what to do about the problem of teen smoking, we cannot allow the Bar Association, lawyers, and radical feminists to tell us what to do about the problem of domestic conflict, particularly where their solutions demand that we give them billions in taxpayer money and give them sole license to loot families, businesses, taxpayers, and insurance companies. VAWA is nothing more than seed money for the 'divorce culture'. It is the marriage between the Bar Association and feminists that drives divorce, with VAWA using domestic violence as the latest trojan horse for its social agenda. It is important to realize the scale and scope of the fear campaign being waged. Most folks remember the political riot over child abuse that resulted in the McMartin, Wenatchee, and Little Rascals Day Care witchhunt cases. The same political forces that instigated the "child abuse" riot now drive the present domestic violence witch-hunt, which even extends to recent claims that domestic violence is now a major problem in the workplace, when in fact it does not even register in studies and analysis of workplace safety problems. The politics of paranoia run deep -- so deep that a resolution is being debated in Congress suggesting that animal abusers and wife abusers are one and the same. It is crucial for Americans to understand the historical importance of the recent shift from selling 'fear of child abusers' to 'fear of wife abusers'. Radical feminists, the Bar Associations, and certain politicians entitled themselves selling you the child abuse riot, which ultimately fell apart because it is difficult to program a child to allege abuse that never happened. Many families, insurance companies, and businesses were looted by these individuals. But now, they hope to sell you "woman abuse" to keep their perches of political power and line their pockets in the courtrooms across America, at the continued expense of families, businesses, and insurance companies. Deny funding to any domestic violence center that questions or attempts to assess abusive behaviors, motives, or credibility of a woman claiming to be a victim (Sec. 251(b)(4)). Amend the Parental Kidnapping Act to federally-fund child kidnapping by allegors of abuse (whether abuse occurred or not). Even one alleged incident of abuse invokes absolute immunity from prosecution. Remember that "victim" status is based solely on assertion. Amend the Employee Retirement Income Security Act and I.R.S. Code to permit looting of retirement accounts and tax refunds of alleged perpetrators by those alleging child abuse. Fund H.U.D. to provide permanent free housing to any woman who alleges spousal or child abuse Remember that "victim" status is based solely on assertion. Require health care insurance companies and worker's compensation plans to provide permanent insurance coverage to any woman alleging abuse Remember that "victim" status is based solely on assertion. .
Bar deportation of illegal immigrant women who claim abuse, grant immigrant status, automatically give them welfare benefits, while prosecuting the alleged perpetrator. Make it nearly impossible for employers to dismiss or discipline women who allege domestic abuse, and award attorneys fees against employers dealing with emotionally unstable female employees. Create unemployment compensation and paid leave entitlements. Employers would be gagged from internal discussion questioning why the leave is necessary. Fund "Youth" programs to spew antifamily radical feminist propaganda into our public schools. Fund only NGO's and SBO's to tell governmental agencies what to do. Fund attorneys and the Bar Associations to provide free services only to women alleging abuse. Codify into federal law a large collection of radical feminist propaganda deeply skewed along gender lines. For example, parental alienation syndrome (where a parent programs a child to dislike or hate the other parent) would be legislated out of existence. Re-define the definition of domestic violence in the Omnibus Crime and Safe Streets Act to exclude 'acts of self defense.' Remember that "victim" status is based solely on assertion. Create a strong federal presumption for sole maternal custody irregardless of who actually did most of the childcare, the quality of the childcare, or other factors of marital moral responsibility. [Sec. 241 (1)]. Fund the establishment of "Supervised Visitation Centers" to study all the fathers who become "perpetrators" on the sole basis of an assertion of abuse. Existing NGO's would have line-item veto over funding of these centers, assuring adherence to the female-victim model. Mandate that domestic violence treatment centers help only women. Existing non-governmental abuse centers would be given state-level "line-item-veto" authority to approve/dissapprove applications for new centers. Blame any domestic disagreement on men, and deny funding to any organization that disagrees with this approach. Where spousal conflict is alleged to have taken place, children would no longer be able to benefit from parenting by the noncustodial parent. Where serious spousal conflict is alleged, shared parenting would be precluded, inuring to the benefit of a custodial parent irregardless of the source of conflict. Let us reform domestic violence laws to impact the problems that truly drive the majority of domestic conflict. For example, we need legal mechanisms in place to allow a responsible spouse [regardless of gender] to get a chemical-abusing spouse into treatment under court order. Co-dependecy and sexual addictions should be approached in similar fashion. In general, policies dealing with non-clinical, minor cases of spousal disagreement should generally expect that spouses work through the normal processes of marriage and aging, and that mental health problems be treated rather than exascerbated. Let us demand marital responsibility of spouses!